Exclusive Use Provisions in Commercial Leases - Ward and Smith, P.A. Exclusive use provisions are common in commercial leases, especially in large shopping centers with many tenants. An exclusive use provision essentially allows a tenant to use its premises for an intended specific use (for example, as a restaurant, sale of electronics, or sale of men's and women's clothing), and restricts other tenants in the shopping center from using their premises for the same or a similar use. Landlords and tenants generally understand what exclusive use provisions are, but often fail to give these provisions the time and attention they deserve when negotiating a lease. If not drafted carefully, an exclusive use provision can create problems for both tenant and landlord. When a landlord grants an exclusive use provision to one tenant, it limits the number and type of other potential tenants to which it may lease other premises in the shopping center. Once a landlord grants a tenant an exclusive use provision, the landlord must be very careful to not enter into a new lease that would violate this exclusive use provision. Depending on the way the exclusive use provision is drafted, the landlord may also be obligated to make sure an existing tenant is not currently engaging in the prohibited use and does not modify its use of its premises in the future in a way that would violate the new tenant's exclusive use provision (if the landlord has approval power over a change in the tenant's use of its premises). For this reason, it is imperative that landlords, especially in large shopping centers with many tenants, keep detailed records of all of the exclusive use provisions granted to all of the tenants. A comprehensive list of all exclusive use provisions should be maintained as a separate document and reviewed every time the landlord is negotiating the terms of a lease for a new tenant. The landlord must enforce an exclusive use provision against other tenants who violate the provision. In order to effectively enforce an exclusive use provision, new leases should contain a provision restricting the tenant from using its premises in violation of the exclusive use provisions granted to all other tenants. If this provision is included, and the tenant violates another tenant's exclusive use provision, the landlord will be able to enforce the violation as it would any other breach of a lease provision. If the lease does not contain such a provision, the landlord may not have a reliable method of enforcement and the tenant granted the exclusive use provision will be able to exercise its remedies. It is also important that an exclusive use provision be as specific as possible and easy to enforce. For example, a store that primarily sells coffee may want an exclusive use provision that prevents other tenants in the shopping center from selling coffee. This seems pretty straightforward, but an overly broad exclusive use provision can have unintended consequences. Consider this provision: "landlord shall not enter into a lease for premises within the shopping center with a tenant that will use its premises to sell coffee." This provision could certainly be interpreted to prevent any other tenant in the shopping center from serving coffee at all. This would also prevent the landlord from entering into a new lease with almost any restaurant and several other businesses (including big and desirable tenants such as national or regional grocery stores) that sell coffee as a part of their business, and it is very unlikely that a landlord would intentionally choose to restrict itself in that way. It is also unlikely that the tenant granted this exclusive use provision intended to prevent new restaurants in the shopping center or grocery stores from serving or selling coffee in any form. It probably only wanted to keep tenants who sell coffee or fresh coffee as their principal line of business from competing with it in such close proximity. Another possibility would be to list specific types of stores that may be prohibited from operating in the shopping center. For example, if the tenant requesting the exclusive use provision is a Starbucks, it might specifically request that the landlord not lease any of the other premises in the shopping center to specifically named competitors such as Dunkin Donuts. A landlord should want any exclusive use provision to be drafted in such a way that it is easy for both tenant and landlord to understand and easy to enforce when the landlord is obligated to do so. A tenant requesting an exclusive use provision should make sure the exclusive use provision actually does what the tenant intends. Broad exclusive use provisions, like the example given above, may seem to be beneficial to the tenant, but if the provision is too broad, it might be unenforceable, or at the very least, lead to a fight between the landlord and tenant. A tenant should consider exactly what it wants to restrict other tenants from doing and draft the provision accordingly and precisely. While tenants may want to limit competition, tenants, like landlords, do not want language that is so broad that it results in an empty shopping center. Both the landlord and tenant should want to target the specific type of competition that would adversely affect the tenant, and nothing else. The exclusive use provision should also be clear as to the leases to which it applies. An exclusive use provision will typically provide that the landlord may not enter into a new lease with a tenant that would violate the exclusive use provision. But a tenant requesting an exclusive use provision should also consider language preventing the landlord (if landlord has the power to approve changes in use) from amending the use provisions in existing leases in a manner that would violate the tenant's exclusive use provision. Ideally, an exclusive use provision will prevent any uses of premises in the shopping center that would compete with tenant's business, whether by a new, or existing, tenant. A tenant's ability to enforce its exclusive use provision is also important. If a tenant's exclusive use provision is violated by another tenant, it will be difficult or impossible for that tenant to enforce the exclusive use provision against the other tenant since the two tenants would most likely not be parties to the same lease or any other contract. In legal terminology, the parties would not be "in privity" with one another and, therefore, the offending tenant would not have a contractual obligation to the offended tenant that could be breached. The tenant will have other options if the landlord does not enforce the provision, such as the right to terminate the lease or the right to pay a lower rent to compensate for the loss of business. If the lease does not contain any of these provisions, the tenant will be forced to sue the landlord if the landlord does not enforce the exclusive use provision against the other tenant. Multiple and specific remedies in a lease give a tenant options to deal with violations of exclusive use provisions other than filing a lawsuit. There is one very big exception to the "lack of privity" limitation on the remedies of an offended tenant. If the tenant insists that a "Memorandum of Lease" be recorded in the local Register of Deed's office that includes the exclusive use provision and therefore gives "constructive notice" of the provision to future tenants of the shopping center, the offended tenant may be able to sue the violating tenant directly and get an injunction prohibiting the violation. 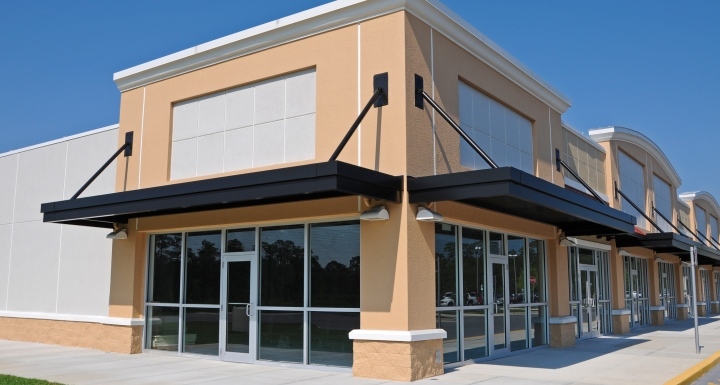 For that reason, it's important for a prospective new tenant to have the title to the shopping center property searched in the Register of Deeds' office before signing a lease and incurring expenses to commence business. Otherwise, it may find out too late that it can't engage in the business it intended to conduct in the shopping center, but still be on the hook for the entire term of its lease! Exclusive use provisions can be beneficial to both landlords and tenants. Tenants want to eliminate competition as much as possible and landlords want as many happy, successful tenants in their shopping center as possible. However, as illustrated above, poorly drafted exclusive use provisions can be harmful to all involved. When negotiating the terms of a lease, it's important that both parties pay as much attention to exclusive use provisions as any other provision.